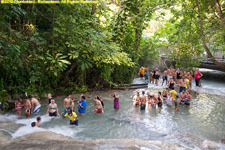 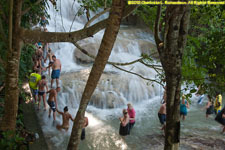 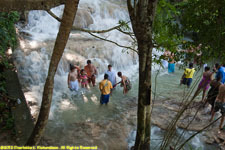 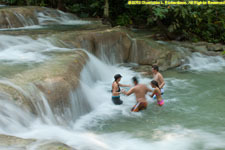 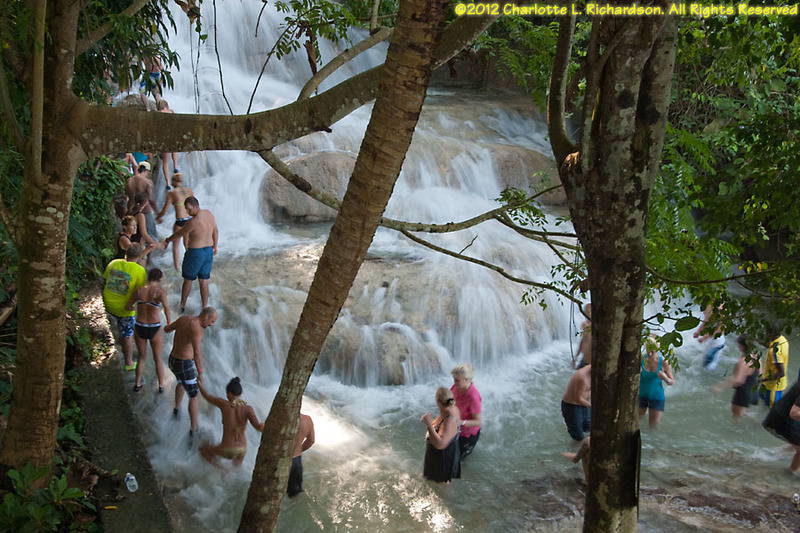 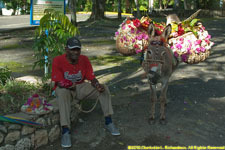 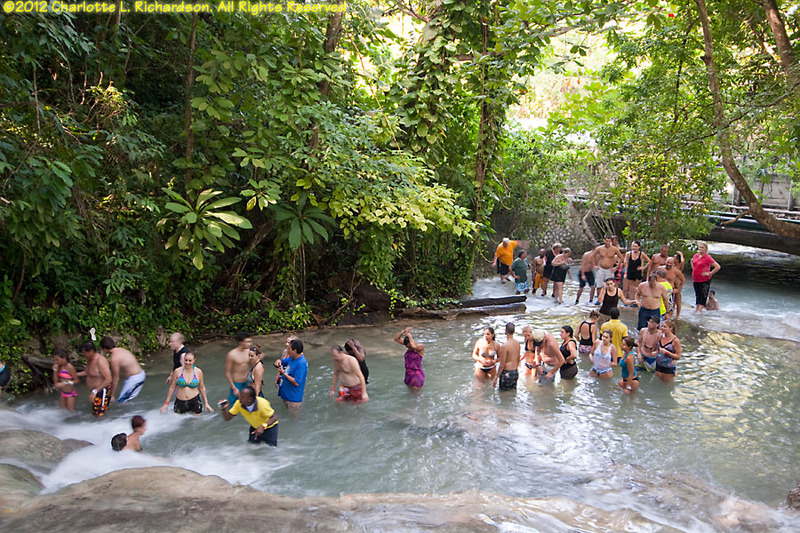 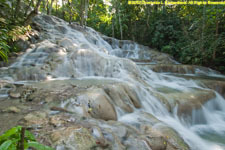 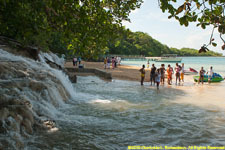 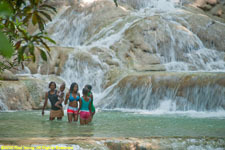 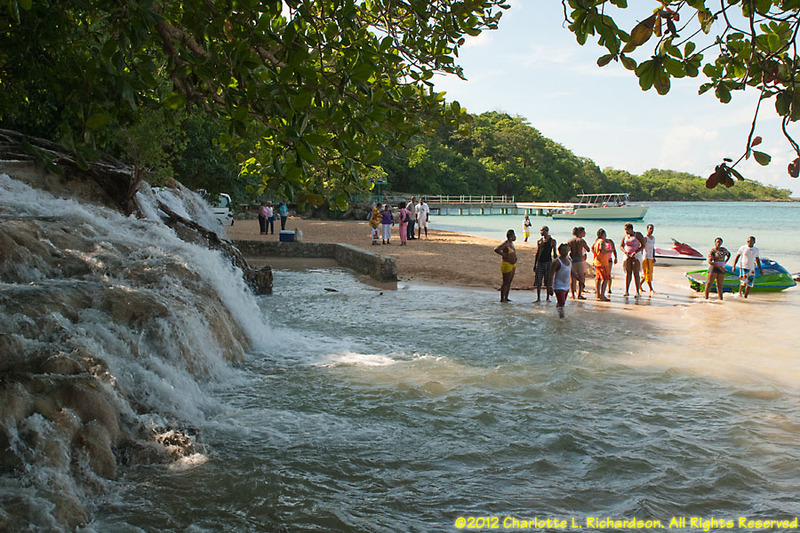 We visited Dunn's River Falls, in Ocho Rios, before the contest. 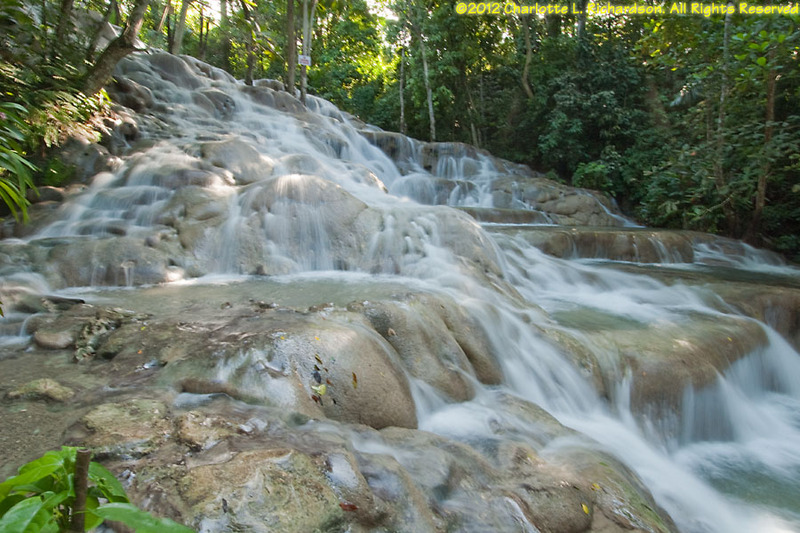 The Spanish name ("Eight Rivers") is actually a corruption of the local name; there are not eight rivers here. 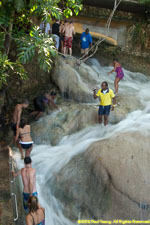 Climbing the waterfall of the real river, which pours directly into the sea, is a favorite with tourists. 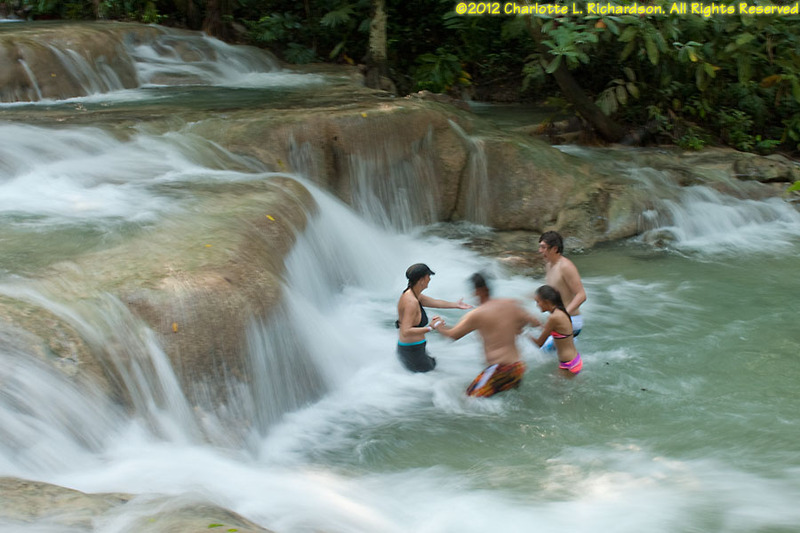 ©2012 Mermaid Underwater Photographic. All Rights Reserved.